Climate: The 2011 vintage, particularly during the final phases, was one with a highly unusual growing season, particularly in its final phases: after a sunny but not particularly warm July with cool evenings, August was extremely hot and humid with minimal daytime to nighttime temperature swings. A well developed and well maintained vineyard canopy, along with sufficient ground water reserves, prevented both grape burn and berry shriveling, above all on early-ripening varieties such as Chardonnay and Sauvignon, and protected the grape bunches. The continuing heat wave made it necessary to pick the grapes with great timeliness, but the crop itself was rich in quality and gave fragrant and elegant wines, structured and with good acidity along with proper alcohol levels, all signs of much future longevity. Vinification: The Cervaro grapes come from 15-20 year old vineyards planted around the castle at altitudes between 650 and 1300 feet (200-400 meters) on soils both rich in marine fossils and interlaced with strata of clay. Picked during the night, the crop was refrigerated before the operations of destemming and pressing. The two varieties ripen in different periods and were fermented and aged differently: the Chardonnay went through a short (4-6 hour) cold maceration and then fermented for 18 days in small French barrels where it remained on its lees for six months and was put through a complete malolactic fermentation. The Grechetto, instead, fermented and aged in stainless steel tanks. After blending and bottling, the wine aged for ten months in the historic cellars of the castle. Historical data: Cervaro derives its name from the noble family which owned the Castello della Sala during the 14th century: the Monaldeschi Della Cervara. The Antinori family purchased the estate in 1940. The first Cervaro della Sala vintage to be produced was the 1985, released in 1987. The wine has won numerous awards and important recognition for the constant high quality which it has shown. 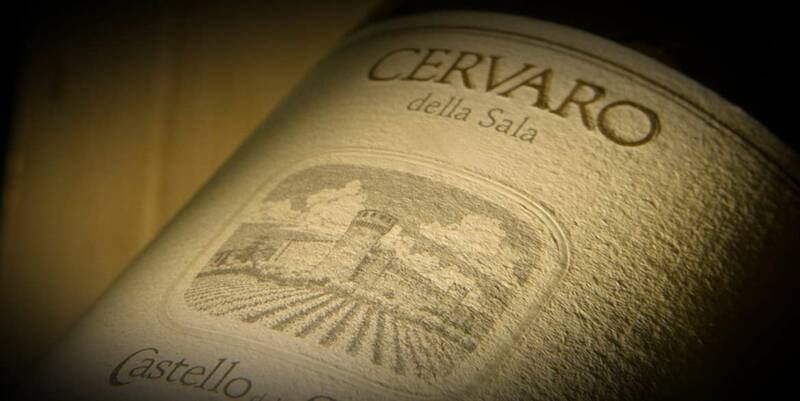 Tasting notes: The 2011 Cervaro della Sala, a luminous yellow with greenish highlights, shows toasted aromas along with notes of citrus and tropical fruit and lightly buttery sensations. Fresh and savory on the palate, it is long and persistent as well. Already pleasurable, it shows an important aging potential, the promise of excellent future evolution.